Peonies are literally in a class by themselves. That is to say that the flower is classified as its own species, paeonaceae, by botanists. The flower is named for the Roman physician Paeon, who was turned into a flower by Pluto to protect him from a jealous teacher. Romans believed that the flower could cure everything from a headache to convulsions. Peonies are known for their distinctive smell. However, occasionally these flowers fail to produce a scent. Because peonies are known for their lily-like fragrance, it would seem odd that there are varieties of peony with a very slight smell or no scent at all. However, several hybrid varieties of peony have a mild fragrance or virtually no scent at all. Examples of this include Nippon Beauty, a Japanese variety that produces large pink or plum shaded flowers with no fragrance. Another variety, Paeonia Jessie Shaylor, produces a very mild honey-like fragrance. Flowering plants such as peonies produce perfume from volatile chemicals that are released into the air. These chemical reactions are designed to attract pollinating insects. Because some perfumes carry better in warm air, peonies can seem quite fragrant during warm weather. 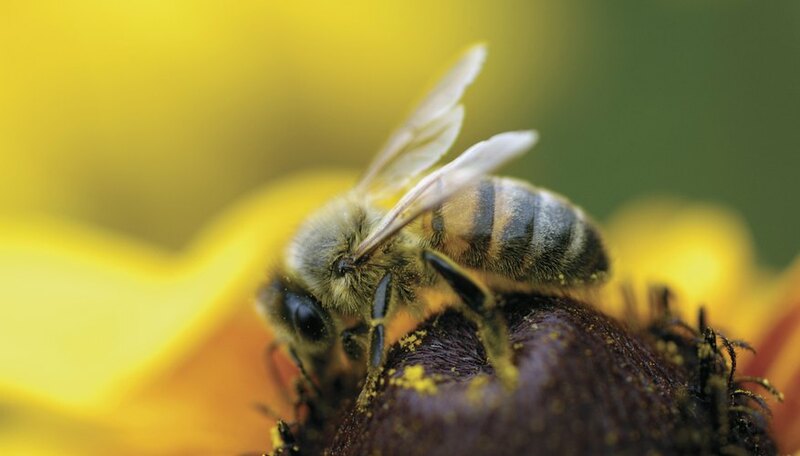 Because bees are more active in warm weather, the flower’s ability to send out perfume is more vital in warmer weather. However, if the temperatures are slightly cool, peonies can seem less fragrant. According to studies by the University of Virginia, the ability of all flowers to produce fragrance is diminishing. The study blames pollution for the decreasing range of a flower’s scent. According to the study, flowers were once able to project scent molecules up to 1,200 meters. By contrast, today these flowers can only disseminate scent in a range up to 300 meters. These scents quickly bond with pollution particles such as ozone and nitrate radicals and are destroyed in the process. Scientists also theorize that hybrid plants that produce larger blooms are unable to produce a strong fragrance. Many of these plants have been genetically modified to produce larger blooms for the flower industry. However, because the plants expend a large amount of energy in producing large blossoms, there is very little energy left over for production of perfume. Lack of energy in the plant can play a factor in traditional plants as well. Plants that have been damaged by frost, or plants that have not yet reached maturity might not have energy for producing perfume. If a formerly strong-smelling flower suddenly seems less fragrant, the issue might not be the plant. Instead, the lack of smell might be an indicator of a diminished sense of smell. Scientists at Tel Aviv University in Israel have linked a diminished sense of smell with signs of depression. Scientists say that this might also be the reason why some women wear strong perfumes. If your peonies seem to have a fading fragrance, it might be a warning sign to have your mental health checked out.